Buried in the two hours of Apple announcements on September 9th was an interesting bit about the new iPhone 6S and its ability to take Live Photos. When you take a photo with the new iPhone 6S, the software will take a few snippets before and after the snap to create a 1.5 second “moving picture.” These are not video clips, but regular photos with some extra data for motion which may be part of the image. We would guess that the approach is similar to how video sequences are compressed (there’s a reference image, and only changes to that image are captured—think just the waving hand, not the entire body that isn’t moving—rather than capturing a series of images and all the redundant data inherent in them). Some of us at RainyDay had worked at Kodak’s Digital division back in the day and had access to some of its Advanced Research, including their “video print” concept. 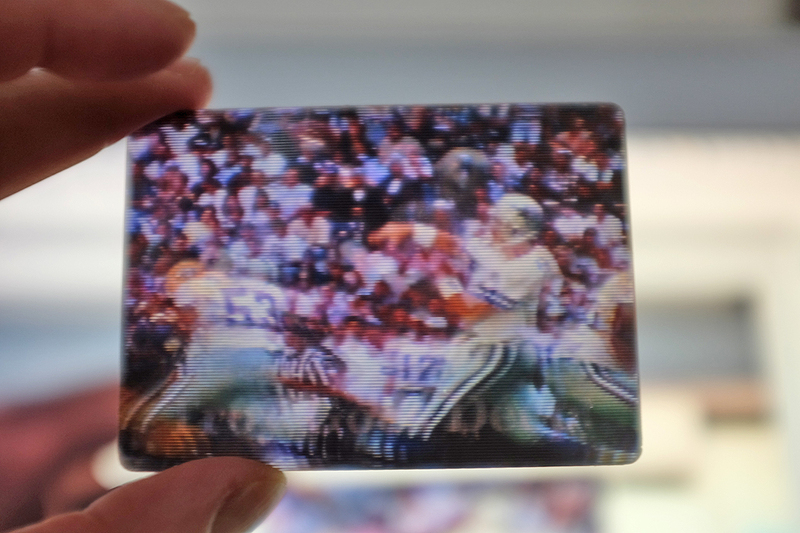 The idea was to produce a physical hardcopy of a few seconds of video and “see” the motion by tilting the print. The technology sliced images into slivers and printed them in such a way that the slivers recombined to form a few different-but-consecutive images when viewed at a specific angles with a type of lenticular lens patented by Kodak. 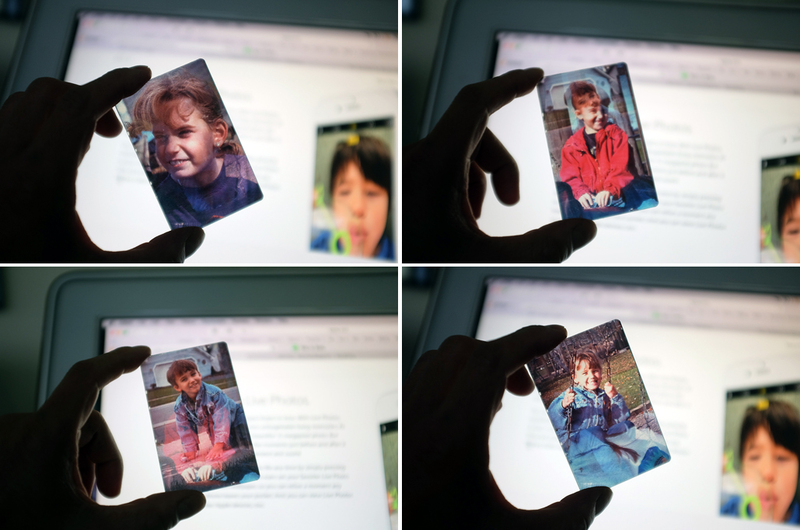 Snippets like a baby’s first steps, cutting the wedding cake, etc., were the typical subjects for this type of “print.” The same approach allowed up to six images to be grouped together in one “stack.” A grandparent would then be able carry and “flip” through a brag-book of the grand-children at any time. Like many things developed by advanced research groups inside large companies, the video print never saw the light of day for consumers. A much larger version for commercial products was used in billboard advertising, but the “big money” mass market version of it never came to pass. 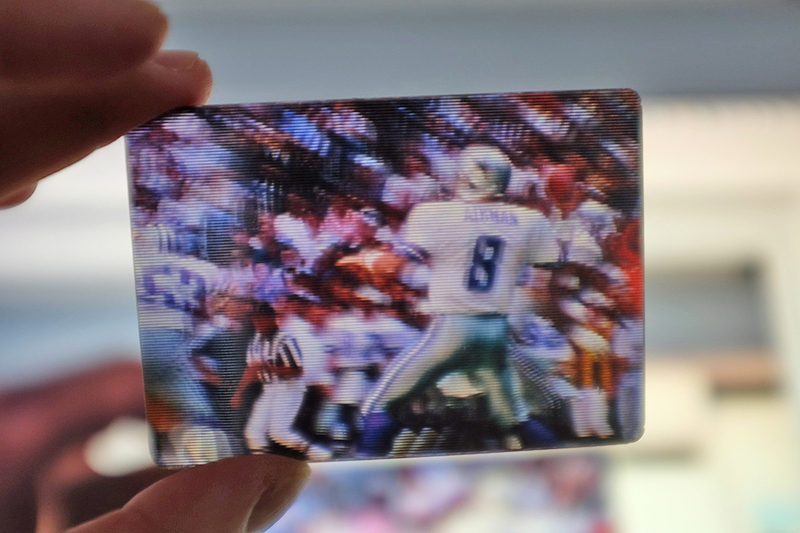 We have this one video print of Troy Aikman throwing a football. 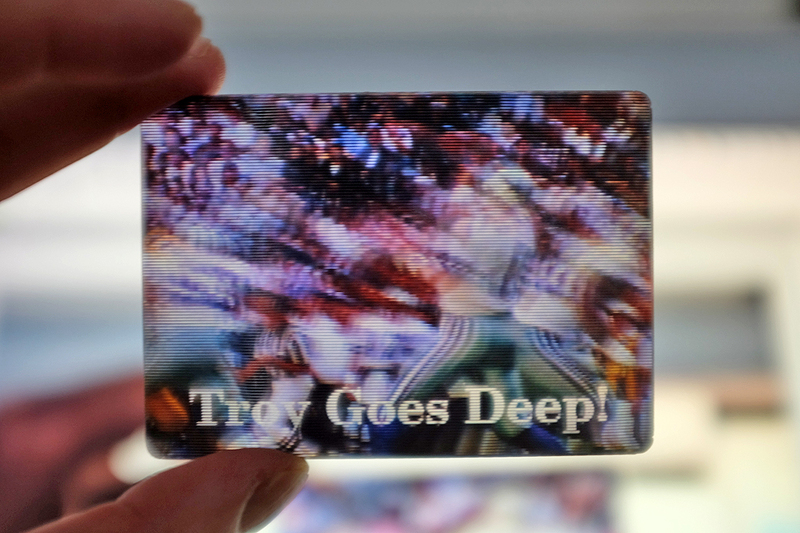 By tilting the print, Troy can be seen rearing back and throwing the football. The color has not faded and the plastic lens had held up quite well. Not bad considering the tech is now almost 20 years old! Oh, and no batteries needed. As cool as this idea was, Kodak never released it as a consumer product because of the image resolution. There was a strong belief at Kodak that consumers valued image quality over all other aspects of the photographic product and that any photo-related offerings from Kodak must be as good as their prints. This was, of course, impossible for any digital product in 1997. An opportunity missed? It wouldn’t be the first time. Fifteen years later, we are seeing a similar implementation of a similar idea on a completely different platform. 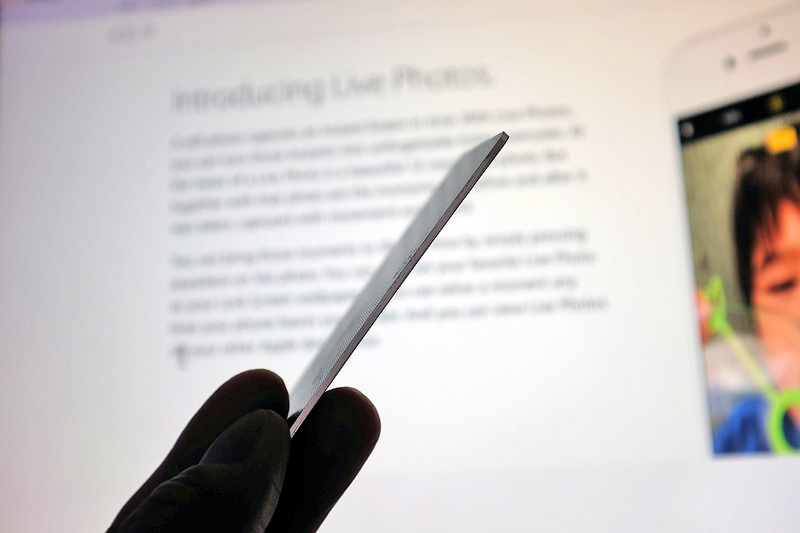 It will be interesting to see if Apple’s version of LivePhoto catches on. This time, batteries will absolutely be required.